Haemophilia A is a genetic disorder. Haemophilia A may be mild, moderate or severe. Patients lack blood clotting factor. Mostly men are affected by this disease. Haemohilia A is a genetic disorder and is caused when X-linked plasma clotting factor named VIII is unable to express in body. This may be a result of genetic mutation and is generally found in men. Patients of haemophilia A are classified in 3 categories as per the severity of disease. Mild haemophila patients have blood clotting factor (Factor VIII) levels between 5–25%.Patients having moderate haemophilia A possess only 1-5% of clotting factor VIII. The worst level of haemophilia A is 1-2% and is found in patients with severe conditions. The symptoms of haemophilia A varies in all the 3 categories of patients. Most severe symptom of haemophilia A includes easy bruising and excess of bleeding. Patient experiences bleeding as per severity of this disease. Children having mild haemophilia don’t show any symptom in normal cuts. It is traced when some dental surgery or any accident occurs. The bleeding may be external or internal and are very tough to deal. External bleeding which shows that person is having haemophilia A includes nose bleeding without any reason. Patient shows excess bleeding from a small cut in mouth or even if the tooth is lost. Symptoms of haemophilia A include heavy bleeding from a minor cut. Patients who have haemophilia A resume bleeding from a wound or cut after a shorter duration. This condition is worst for patients having clotting factor less than 2%. Symptoms of haemophilia A also appear in internal organs which start to bleed. Sometimes the blood appears in urine if the kidneys or bladder start bleeding. Due to deficiency of clotting factor VIII bleeding can start from intestine of stomach and appears in stool. Some patients experience dark patches on skin which is result of muscle or blood vessel rupture inside the layer of skin. The most critical and emergency signal for haemophilia A is internal bleeding in brain. This bleeding can be induced even by simple bump on head. The symptoms include repeated vomiting, behavior changes, convulsions or seizures. Symptoms which appear slow includes painful headache, pain and stiffness in neck, double vision, feeling of sleepiness and weakness in arms and legs. Some patients even found the walking to be very difficult task. Bleeding in swollen joints is a common symptom of patients having haemophilia A. 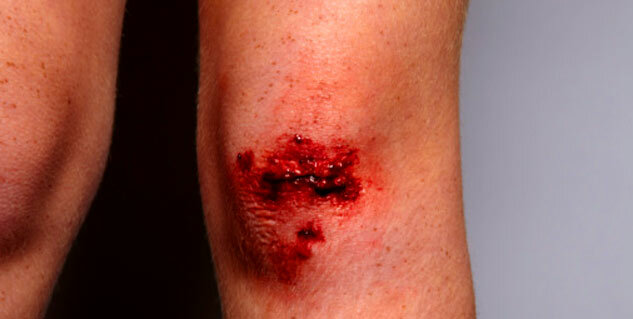 The bleeding may occur in knee, elbow or any other joint. The bleeding may not appear first and start without any injury. Firstly, the joints become stiff after bleeding without any pain. At this time patient is not aware of any bleeding which occurred internally. After sometime the joint swells with extreme pain. Swelling becomes worse with continued bleeding. Some patients loss the movement power with persistent pain. If the joint is left untreated it is hard to retain the joint and is amputed in extreme cases. Read more articles in Blood Diseases.